I have also learned how to draw, refurbish furniture and create pottery. Most recently, my son introduced me to model building when he gave me Beargguy. 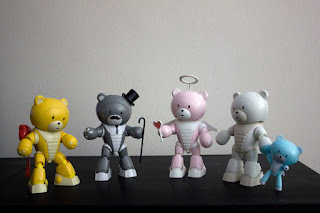 Since then, I have built Papa'gguy, Beargguy P (Pretty) and Beargguy F (Family), along with several of the Petit'gguys to create a Beargguy Army. We are cut from the same cloth, friend.